In recent years with the rise in post-apocalyptic television series and websites, it is no wonder that the rise in people who are purchasing outdoor survival gear has followed suit. Outdoor survival gear can be used in a number of different ways and one is for those who are regularly headed out on adventures in the wild. If you are an adventurer, then you have probably desired to have your own outdoor survival gear and you likely have no idea where to begin. Today many have come to the stark realization that they need to be prepared for a disaster that could strike at any time. This means that more people are choosing to have their own gear ready to go when needed. Many people do not have what it takes to actually survive if something catastrophic happened. While some people have the basics in their home if they live in an area where a natural disaster is likely. Of course, this is better than nothing, but what you really want is to be prepared regardless of the situation that you might find yourself in. Being able to survive in the unthinkable is worth more for your peace of mind that you might realize. Once you are prepared, you do not have to worry about the inevitable. You can relax because if a disaster comes your way, you are good to go. You will be prepared should something happen. This is the best position to be in and there are definitely some steps that you can take to prepare yourself for this or any outdoor adventure situations that you may be in. There are many different types of survival gear and finding the right gear that you need is important. These are some of the best tips to follow when finding the exact survival gear that you need. There are many different things that a survival pack is good for. This is one backpack that houses all of your survival gear so that you can easily access it as you need it. Should you be needing the gear for regular outdoor excursions or if you are around during end times, you will be able to grab this bag in a hurry without worrying that you won’t have something that you need. The first thing that you need to understand is that a survival pack is not an overnight bag. It is not something that you just throw a couple of outfits to grab if you have to leave your home in a hurry. This is a survival bag and is meant to help you survive and thrive should something awful happen. You can not possibly have everything that you will need in an emergency, but you can have the basics that you will need to get by for a few days. A good place to start when looking for a good pack for survival is your local military supply store. These backpacks are made to last and you want your survival pack to be able to take some abuse while it gets the job done. There are a few tips for making sure that you choose the right bag. You want to find a backpack that is comfortable to wear for long durations, is waterproof, and lightweight. You want it to be rugged enough to withstand different types of elements and large enough that you can fit all of the essentials in there. In addition, a pack that has external webbing and carabiner clips so that you can attach additional gear is a great idea. This allows for you to travel more and have more versatility with the gear. 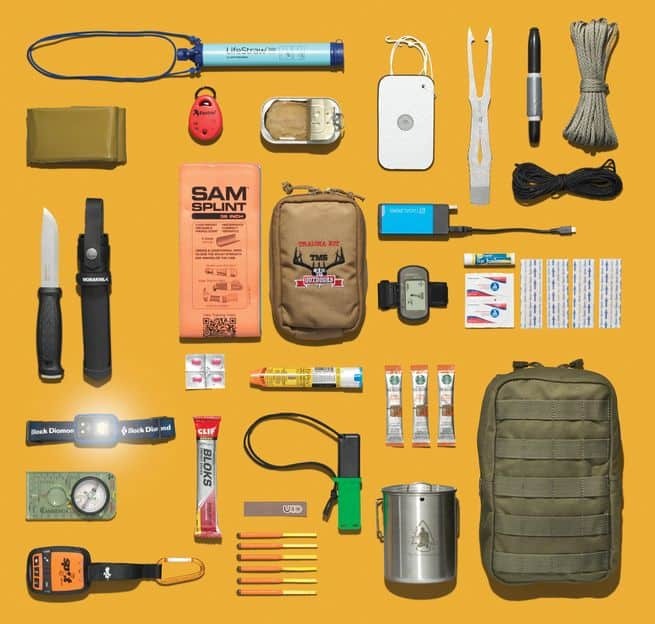 There are many things that you would need to have in your survival pack. These are the items and a basic description of what you are looking for when trying to find great survival gear. Of course, the thought of bringing a compass should not really be something that is shocking. A compass can be used to help guide your direction while you are navigating through the wilderness. It also allows you to have a more detailed ability to move through areas that might otherwise be hard to navigate. Maps of the area that you are in or the area where you intend to go are always a great idea. This is one of the best ways to ensure that you will be able to confidently travel wherever you need to. Keeping an atlas in your vehicle is another great way to ensure that you are able to move more freely and find the destinations that you are looking for. In addition, for those who are regular adventurers, maps can help you to plan your adventures and never miss out on life. Plus, you aren’t dead in the water if you lose your phone (or navigation device) if you have one. Having some basic electrolyte packs is a great way to ensure that you do not get dehydrated should water become hard to obtain. Basic electrolytes can be found in a number of forms but the single serve packs that you can find are a great choice for being able to carry them with you on the go. By having electrolytes you can combat a number of different potential problems and help ensure that you are well along with your entire family. Children can also safely take electrolytes so this makes it an even better choice if you have children. Surviving isn’t easy. A survival book or survival guide can help you to be able to build fires or do a number of additional things. This can include building shelters and gathering food. There are many different books, you will be able to choose the one that you want so that you have tips for everything that you feel you do not completely understand. Not everyone wants to own or utilize a firearm as part of their survival plan. However, there are many people who do. So, this is one that is completely based upon your own personal preference. One thing to remember is that if you do choose to own a firearm, there are federal and state laws that have to be followed. Some of these require taking certain types of safety and training courses. Even if it is not required by your state, it is a good idea to be properly trained on firearm safety and proper use before you purchase a firearm. Many people cannot afford to gather multiple firearms. If this is the case for you, one of the best choices is the pump action shotgun. The reason that this is a great choice is that it allows you to use a variety of rounds and gives you options for hunting animals that are both small and large. Plus you can hunt animals that move in different ways such as birds that fly. To be able to use your firearm, you must have proper ammunition. 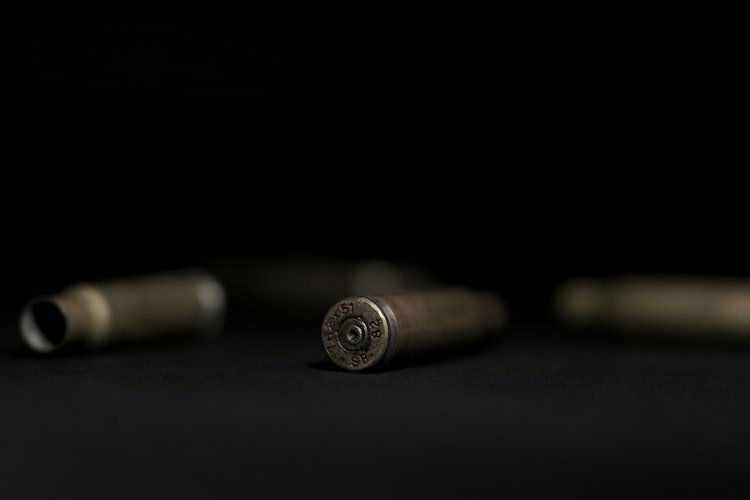 It is a good idea to have a nice supply of the different types of ammunition that you might need to use while trying to survive. Many survivalists suggest making sure that you have between 50 and 200 rounds of ammunition to get started should you need to survive. However, if you have room for more in your pack, you might want to add additional ammunition. Of course, knives are something that can be used in a number of different ways and can come in handy in multiple types of situations. You can use knives for hunting, wood gathering, defense, and cooking. There are many types of knives that you should know as well. Fixed blade knives that have a full tang are the sturdiest choice. This means that they are a great choice for those who have a harder job to perform with a knife. Choosing knives with a straight edge is a good idea if you are going to be in the field or trying to survive. This is because it is much easier to sharpen a straight edge than one that is serrated. Do not just have one knife, but instead make sure that you have a few to choose from. This knife can be a folding knife, but keep in mind that you want something equally sturdy because if something happens to your main knife, this might be all that you have. A collapsible shovel is a great choice for a number of different reasons. A shovel can be used to dig a number of different types of things including, but not limited to: fire pits and shelters. Another great use of a collapsible shovel is to use it like you would a skillet over a fire. You can find multiple ways to use these different items outside of their intended purposes which is why they are so great for those who are hoping to have great survivalist gear. A hatchet is another item that many people do not think about. A hatchet comes in handy to build a shelter and cut wood for things like fire. A hatchet is one of the best choices that you can make. You can also pick up a pocket saw and that will help you with ensuring that you can get wood cut in all types of sizes. However, if you just want to carry one around a good hatchet is key. Today there are many different options for multi-tools available. You can choose to have a standard multitool, but you might also want to consider one of the ones that offer you a wide range of additional tools with things like axes or other larger tools. Of course, crowbars are not on the top survival tool lists for most people. That being said there are a number of reasons why a crowbar might be just the thing that you need if you are an adventurer or trying to survive a horrible event. There are many things that you can use a crowbar for that will aid in your ability to survive. In fact, you can even use a crowbar to be used as a climbing tool if you absolutely need to. There are just so many more things that a crowbar can do than break into things. One of the most important things that you need is water purification abilities. There are a wide variety of different types of water purification. One of the most common is iodine tablets. However, unless you are traveling alone, you would need so many of these that it is really better to invest in a good water purification system or pitcher. There are many different options available out there and some that hold water for extended periods of time, while others are made to be used simply by placing into dirty water and drinking through a straw that purifies. Both can be found in sizes that are convenient for being able to carry with you with ease. There are a few things that you should know about water storage. Number one is that you need various types of storage. One of the things that you want is a collapsible larger sized water storage container. This is something that you will use at your camp and something that will be helpful when you need to have water for a group of people. However, it is not something that you will want to carry with you if you are on the move, so you have to have appropriate water storage for each individual as well. 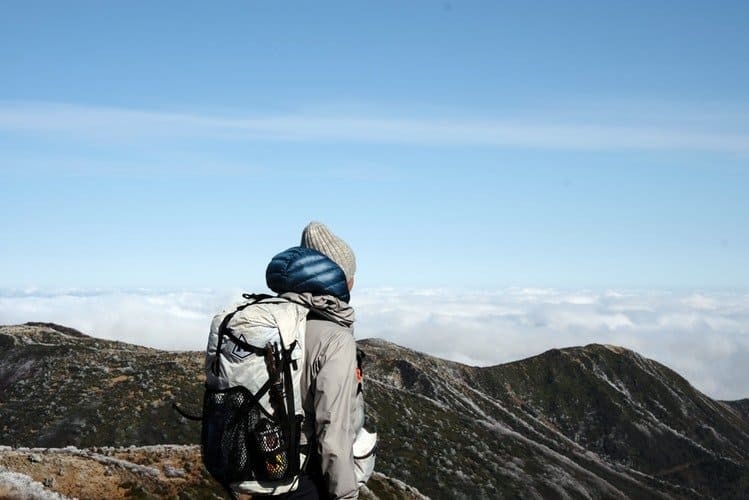 Finding personal water storage that can attach to your pack is a great idea for having something that you can conveniently use no matter how you are traveling. Another thing that you are going to need is a good tent. 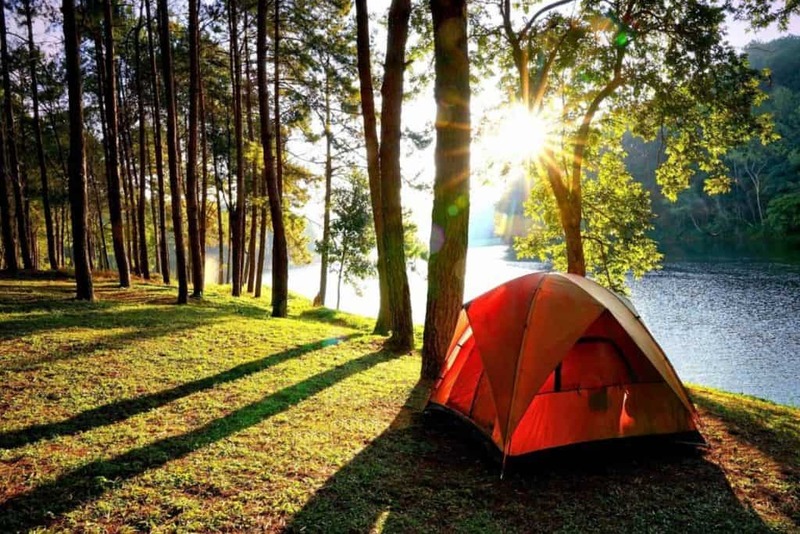 Of course, it is a smart idea to have the size of tent that you need for those who will be with you, but not all families can fit into an easily transportable tent. So instead of taking just one tent for a large family, each adult should take a tent where they can sleep with the children that they need to protect. Make sure that each adult also has the items that are on this list for basic protections. Choosing a tent is not the hardest thing. All you have to do is make sure that you are able to find a tent that can easily be carried and maneuvered. A hammock is a great item to have in your survival pack. You will want a hammock that is easy to hang and does not require a stand. You want something that you can hang so that you can sleep elevated. This is one of the best things to consider. Some of the best sleeping bags for survival are small in size but still able to keep you equally warm. These sleeping bags will help to protect you from the elements while ensuring that you are never cold. Find one that will easily attach to the front or bottom of your pack so that you can easily take it with you no matter where you are going. There are even some special survival sleeping bags that are made to keep you warm while taking up the least amount of space. Considering all of the types of weather that you can run into is also important. Having winter gear that is going to keep you warm in the cold months is one thing that you have to consider. A great choice is the packable down coats which are lightweight and easy to pack, but incredibly warm in cold weather. These coats are easily packed into a small bag or one of the pockets that turns into a small bag. 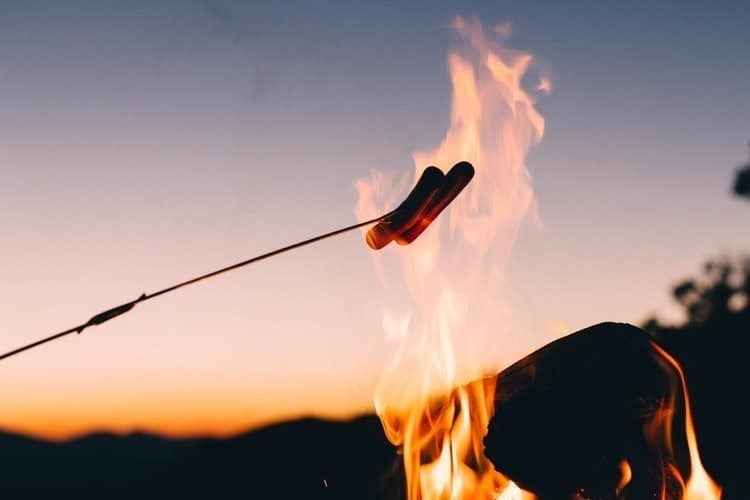 There are many different ways in which you can start a fire. One of the easiest is by having waterproof matches. In addition to waterproof matches, you might choose a lighter, magnesium or flint and striker, handmade fire starters from tampons or cotton balls. There are also options like Gerber Bear Grylls Fire Starter. All of these work well for a great way to start fires. They are a great choice that you are sure to enjoy. A crank radio is something that can really come in handy for you if you are trying to survive. It is a great way for you to be able to hear about events as they are happening. It can also help you to be able to make contact with others. This means that you can radio in help if something happens that you need help with. A general purpose rope is another great choice for your survival pack. You want to have plenty of rope that can be used for a multitude of purposes including making shelters, dragging and lifting game, making rafts, creating traps, and a large variety of additional things. These general purpose ropes are something that you should consider for a wide variety of purposes. One of the best choices for a general purpose rope is paracord. Climbing rope is a type of rope that is made for climbing expeditions. You are never going to say that you have too much rope, so do not worry. Climbing rope is something that you want to be able to use in a variety of different ways that includes being able to use it for heavyweight and shock forces. Climbing rope is made to withstand both of these. When you combine them with climbing carabiners, you are able to navigate areas that might not have been possible before. A small knot tying guide can be incredibly handy when you are trying to survive in the wilderness. It is recommended that you practice tying some of these knots as well. There are even small plastic cards that offer you a range of different knots that you can tie. When you are thinking about survival, this is one of the last things that you are going to consider but it is something that can be incredibly helpful. Hand sanitizers are not just great for washing your hands and killing germs in a hurry. There is a wide range of additional ways in which they can be used. One of these is to start a fire. Another is that they can be used as a way to clean items or even to be able to help with keeping yourself clean and well-taken care. In desperate measures, you can also sanitize items and clean wounds or cuts (although this would be the last choice for that since it will be quite painful). The first thing that you have to remember with food is that this is not how you are going to survive completely. In fact, there are many options to gather and hunt for your own food. The best foods to keep in your pack are foods that are long-lasting and nutrient dense. You want foods that are healthy and will fuel your body. Remember to check all labels for possible allergens because at times there are things to consider. Things like dried beans are a great choice. Nuts, chocolate, and peanut butter are additional foods that are good to consider. These foods are also things that you can use to help bait animals. Just keep in mind that you want foods that are going to fit in the bag and will be a good choice. It is also a good idea to have a few months supply of food that can withstand the elements so that you never have to worry about anything not getting done to perfection. Depending on where you live and where you are headed, you need to make sure that you have the appropriate clothing for the weather. If you are going to be in the heat, you want clothes that are made to withstand the heat. You want layers that can keep you cool while protecting you from the elements. If you are going to be a cold climate then you want proper protection and clothes that are going to keep you warm. If you will be different various temperatures, you will have to be able to withstand the different elements and various temperatures. Just make sure that clothing is appropriate for where you are going and the conditions that you might encounter. Today there are special lines of socks and underwear that are made for those who might need to wash them in a sink and hang them to dry. These underwear feature fast-drying fabrics and a wide variety of different features that make them a great choice for those who are trying to stay well in a variety of different types of weather. Socks are something that you want to have a lot of. A great suggestion that many survivalists follow is to have thin socks that are made from materials that can be easily cleaned. Of course, if the weather is cold you do not want to wear thin socks, but wearing thin socks as a layer between warmer socks gives you a few days of wearing your regular socks that would take longer to dry (especially in cold weather). Another important item of clothing is a good belt! You don’t want to be wrestling with a belt during your next outdoor adventure. Bandanas are great for a multitude of reasons if you are trying to survive. They can be used on your head to protect you from ticks or even to protect your head from the sun. They can be used around the neck to keep you from getting scratched while going through brush. They can be held over the mouth and nose to protect from dust or areas where you want to help yourself to breathe more easily. Bandanas are also super small to pack so you won’t have a hard time getting them into something. When you are going to be trying to survive, you will need gloves. You want gloves that will protect your hands in the cold and in different types of weather and elements. Leather gloves are a great choice because they can be warm in winter while also protecting your hands from different types of elements that could potentially hurt you. Being able to wear gloves is a great way to protect your hands, which is very important when you are trying to survive. Glow sticks can be used for so many different things. Glow sticks can help you to be spotted at night. Rescue groups will have an easier time finding you if you have glow sticks. When it gets dark all you have to do is take one glow stick, break it open, and hang it from your pack. No matter how dark it gets, you are going to be seen easier with the glow stick. Another essential gear is a flashlight. Make sure that you have one or a good headlamp with you, like the Black Diamond Storm. Waterproofing materials are important to keep your items and yourself from getting wet. 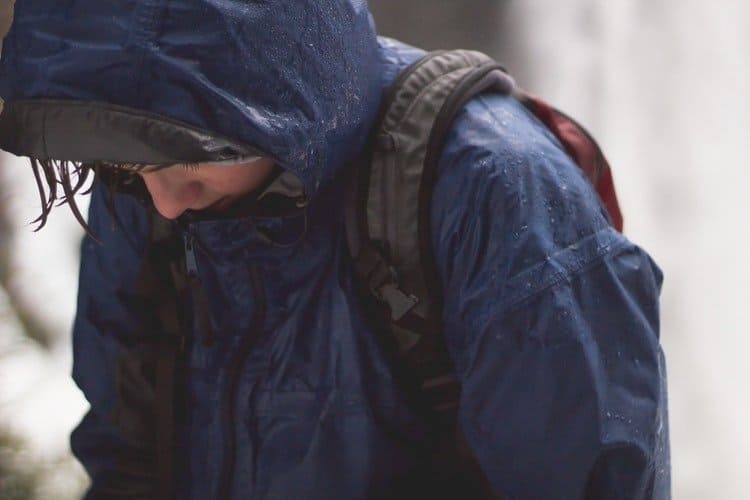 You can use garbage bags to put your things in and then you can use tarps to cover yourself and your packs or even to create emergency shelter from the rain with your ropes. Another essential that you will want to have if disaster should strike is a basic medical kit. There are a wide variety of items that you should consider keeping your medical kit. The medical kit should have what you need for basic first aid and CPR. Below is a list of some of the items that you might want to use with your basic medical kit. By including these items, you will have a good chance of having everything that you need to be able to get things going. You will be able to ensure that you can stay healthy. A basic survival kit is a little different than a survival pack. When it comes to creating a basic survival kit, you will want to create one of these for each member of your family and you will want to choose a small case to store these items in, like the ones that can be worn around your neck or waist. You can even purchase small basic survival kits. Of course, you might not be sure where to get started with creating a survival pack. If this is not something that you have previously done, you will find that it can be very difficult to know exactly what you need and how to get started. The following is a basic list of items that you will want to include. The hardest parts about surviving and staying warm and finding safe water to drink. This is one of the reasons that you will want to have several ways to make a fire in case one does not work. In addition, making sure that you have enough water purification tablets will ensure that you are able to survive if there is no clean water available. There are many times when a kit like this could come in handy, but if things suddenly turn terrible, you will at least be able to get by and survive. Being able to survive in adverse conditions is something that can be challenging. The following are survival tips that can help you to survive if you should need to. You can use fungus to help you with starting fires. Know how to create a thick fire for a fire signal. Learn how to start a fire with hand sanitizer. Tampons can be used to start fires. Learn how to signal SOS with the fire. Make sure that you are able to use fire to reflect heat in different directions. You will want to be able to heat your campsite with fire. Learn how to use rocks around the fire as insulation. Learn how to understand the world around you. You should know how to find where North is without navigation equipment. Never process animals or fish that you have gotten for food at your campsite, instead of process them as far away as you can carry the meat and items that you will use back with you. This helps keep other animals and predators from finding your camp. Also, as an extra special safety measure, packing bear spray may be a good idea. Use all parts of the animal if you hunt. Bones can be used as handles, as tools, or even as weapons. Urine from dead animals (especially females) can help to attract other animals. Pelts and skins can be used to make clothing or small pouches and other items that can really come in handy. Learn how to keep yourself warm in cold weather by understanding the basics of layering and materials. Learn how to minimize the number of layers that you need. Have treatment options for blisters. Understand how to set up camp in the right place. Toothpaste can help you to relieve itching from bug bites or other poisons. Tampons can aide in first aid. Use masking tape to block excessive light. Make sure that you are able to collect rainwater to use as needed. Sleeping elevated helps you to be protected from animals and other dangers. Carry aluminum sheets to help you be able to raise the temperatures by attracting the sun. These can also help you during very hot weather to warm food and other things. Make sure that you never use unfiltered or dirty water to clean a wound. So many infections and parasites can get into the wound and harm you further. Be efficient in how you organize your backpack. Learn how to balance your food and water intake properly. Know how to properly signal for help. Being able to survive is the single most important thing that you will need to do if you are an avid outdoor adventurer or if you are worried about possible natural disasters. By knowing how to pack a survival bag, you will be able to have everything that you need should you ever need to survive. We hope that this article has further informed you on survival and that you are more prepared than ever for the great outdoors!